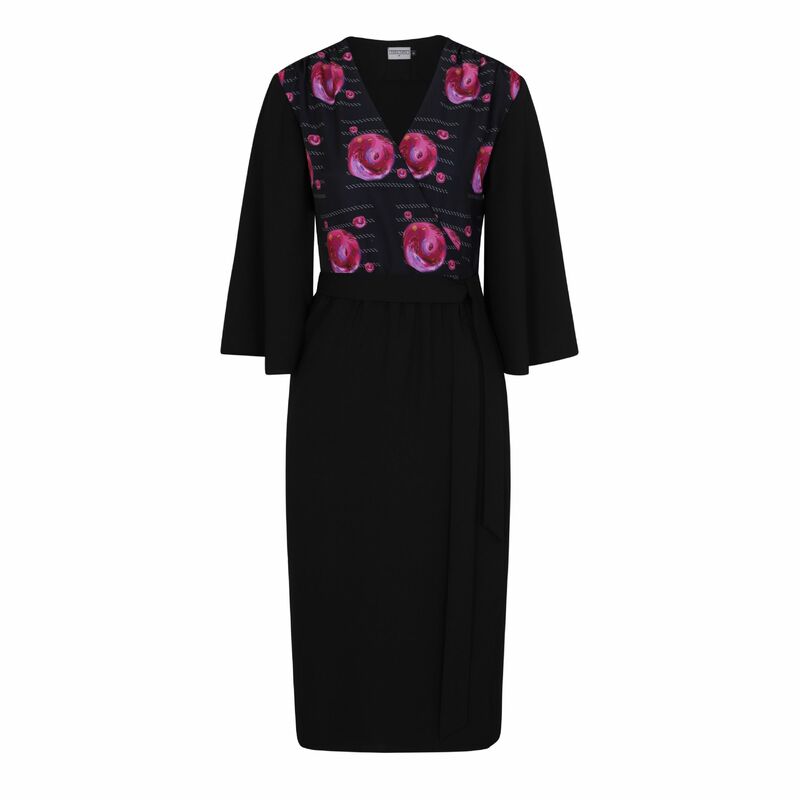 Home / CoCo VeVe The label / Pearl Wrap Dress In Black With Geranium planet print detail. New look Pearl wrap dress in black. Featuring our new exclusive geranium planet prints. With a new feminine gentle gather skirt ,sits below the knee, ties at the waist and finished with a 3/4 length Kimono style sleeve. All in a beautiful drape fashion crepe. More about this dress. Fabric sourced from Lancashire UK . Bodice printed in London .Garment made in the UK .The inspiration for the printed bodice came from photo I took of a Geranium whilst out walking.